Aromatherapy is a complimentary and holistic natural therapy utilising the healing properties of plants in the form of essential oils, which are concentrated natural essences of plants. The essential oils are volatile and therefore highly aromatic and enjoyable to use. An Aromatherapist utilises many different methods of application to treat clients and will use an essential oil, or blend of a few essential oils to help with a particular issue. There are different application methods used in aromatherapy, including: massage, baths, inhalation, vaporisation, ointments, body and face oils, natural perfumes, and compresses. Truly pure essential oils are usually non-invasive (when used safely) because they are in biochemical harmony with the body, unaltered from nature. Extensive knowledge is required to use a wide range of essential oils beneficially - and this is where knowing an aromatherapist is very helpful. Belinda can help you get started with using aromatherapy with her practical advice (just ask at your next massage appointment) and the information provided on her blogs. Essential oils are concentrated natural essences from plants that are extracted through the process of steam distillation or cold expression of plant material such as flowers, leaves, grasses, trees, fruits and roots – from a single botanical source. Belinda uses therapeutic/practitioner grade essential oils (Essential Therapeutics) in clinic - these are 100% pure and natural. Real essential oils are highly aromatic, making their application very enjoyable, and they are healing. These are not to be confused with fragrance oils or adulterated oils that have been labelled as essential oils, which have no therapeutic value. Each essential oil is comprised of a different combination of natural (unaltered) chemical constituents that determine both its aroma and its synergy of therapeutic value. Essential oils directly affect the limbic system in the brain via the olfactory nerves and therefore have an influence on our mind, mood, emotions and memory. They can be up to seventy times more concentrated than the original plant source, which means you only need a few drops to have an effect, and which also means you should not consume them as they can irritate the oesophagus and gastrointestinal tract. Essential oils can be beneficial to different systems in the body such as the immune system, endocrine (hormonal), respiratory, digestive, reproductive, integumentary (hair/skin/nails) and urinary system. They make their way to these body systems by getting into the bloodstream via the skin (massage) and via inhalation. There are some essential oils that many people know the benefits of, and already use. For example tea tree essential oil is widely used as an antiseptic on wounds and insect bites; eucalyptus oil speeds the healing of the common cold and helps to clear a blocked nose; and true lavender oil (the ultimate healing essential oil) speeds the healing of burns and wounds, and helps with insomnia and headaches. However there are so many beautiful essential oils that once you start using them you'll find you will want to add quite a few to your collection. Essential oils are highly versatile - they are used in cleaning products as many have anti-bacterial properties (e.g. lemon, scotch pine and eucalyptus oils are very popular); they are often the active components in skincare products as many essential oils are regenerative, anti-inflammatory and healing for the skin (when diluted appropriately); used widely in the perfume industry (as well as used to create natural perfumes - I create these too); used in massage oils for therapeutic purposes; and many people use them at home or in the office in an electronic diffuser or an oil burner to either purify the air or to create ambience. They can even be used to help you study - increasing your concentration while you study and then smelling the same blend during the examination increases the chances of you remembering the material due to the link between smell and the limbic system in the brain - which includes memory. Aromatherapy can be used to treat some physical ailments (such as headaches, digestive issues, women's hormone imbalances, insomnia, muscular pain, fatigue, and skin disorders) or mind and mood issues (such as depression, anxiety, stress and grief). It is best if the treatment is holistic and integrative, for example to cure chronic headaches/migraines for many people the best treatment may be a combination of regular aromatherapy massages (using essential oils with calming and analgesic properties) with a focus on head, neck and shoulder massage; plus going to a naturopath or nutritionist to look at diet alterations; maybe some acupuncture; as well as some stress management techniques such as diffusing essential oils at home, meditation and yoga. Another example - for treating digestive issues first we want to address the source of the issue which may mean eliminating particular foods from your diet that your body does not assimilate well (you may need to see a naturopath or holistic nutritionist for advice); drinking peppermint or ginger tea daily as both of these are digestive aids (peppermint is best if you tend to overheat easily or don't like hot weather, and ginger tea is best if you get cold easily or have cold hands and feet); drinking kombucha regularly; and having regular aromatherapy massages (with essential oils that aid digestion) that include abdominal massages to help improve and stimulate digestion. Digestive issues can be a consequence of many different factors including long term stress or childhood trauma so relaxing massages will often help. When it comes to holistic healing we view the body as always serving us and always working very hard to be in a state of homeostasis - so if you are getting a symptom often, such as headaches or stomach pains, then that is feedback from the body that there is an imbalance that needs addressing. Aromatherapy massage is helpful for many issues as it is very calming for the nervous system which enables the body to work at its most optimum, giving the opportunity for it to repair itself, all the while the essential oils make their way into the bloodstream via the skin and lungs - to be distributed throughout the body systems to effect change. Specific essential oils are chosen with the aim to help with a particular issue the client has such as insomnia, depression, anxiety, stress, grief, headaches, digestive issues, muscular pain, fatigue or women's hormone imbalances as the essential oils contain different chemical constituents that have different therapeutic influences on our bodies. Essential oils also have a direct effect on the mind and emotions via the limbic system in the brain and can help increase concentration, or calm anxiety, uplift a person's mood, increase happy feelings, or induce deep calm. An aromatherapist may also provide remedies for the client to use at home such as particular essential oils to use in a diffuser/vaporiser/oil burner, in the bath, a foot bath, sitz bath (e.g. to treat UTI), hot or cold compresses (treats muscular aches, headaches and fevers), direct inhalation, steam inhalation (clears sinuses, treats a cold/flu/cough), topical application to treat a skin disorder (e.g. eczema or acne), and chest rubs (cough/cold/flu). I create natural aromatherapy perfumes for my clients which also serve as a remedy - evoking certain emotions, or uplifting, or calming a person, as scent has such a powerful effect on the mind and emotions. Essential oils are often the active components in beauty products amongst all the chemical additives put into products to preserve them (increase shelf life), add fake fragrance to make more appealing or colour them to make them look more appealing. Basically with most beauty products out there more care is taken with how they appear and how they are marketed as opposed to whether they are actually good for your skin, hair and health. Therefore it is much better to find natural beauty products to use as much as possible. I'd argue that most products create more toxins for your body to deal with because of the extra chemicals used to preserve them. Technically everything that we put on our skin, breathe into our lungs and consume, our body has to process - so we may as well make the job a little easier by using products that our body actually recognises. Being that humans came after plant life our bodies are in relationship to plants. This is why I create face oils from vegetable oils and essential oils. They are natural and are deeply nourishing for the skin and appropriate for all skin types from the very dry to oily skin types (more details below). Aromatherapy is much more than beautiful natural aromas that delight the senses. It is highly effective for reducing stress. Aromatherapy is also effective for treating colds, coughs, influenza and other viruses. Many essential oils are anti-viral, anti-bacterial and antiseptic making them especially powerful against these viruses. They can help prevent you from getting sick by being an air-antiseptic and providing some protection from germs, or if you are sick they can help your body heal quicker. Note however that when treating a virus, a person should not have an aromatherapy massage because they risk infecting the therapist and the therapist's clients (if I get sick for a week that's a big loss of income). Instead if you are sick you can utilise the power of the essential oils at home to help you recover quicker and protect your family from getting sick too. Emotional issues - assists with anxiety, grief, depression, and irritability. Skin conditions - it is soothing internally (reduces stress and therefore inflammation in the body) and externally - e.g. on eczema. Boosts immunity - massage therapy puts our bodies in the "rest and digest" mode and therefore encourages our immune system to return to optimal levels (stress reduces immune activity). Plus many essential oils do have antibacterial, antiviral and antiseptic properties. Why choose Belinda as your Aromatherapist? 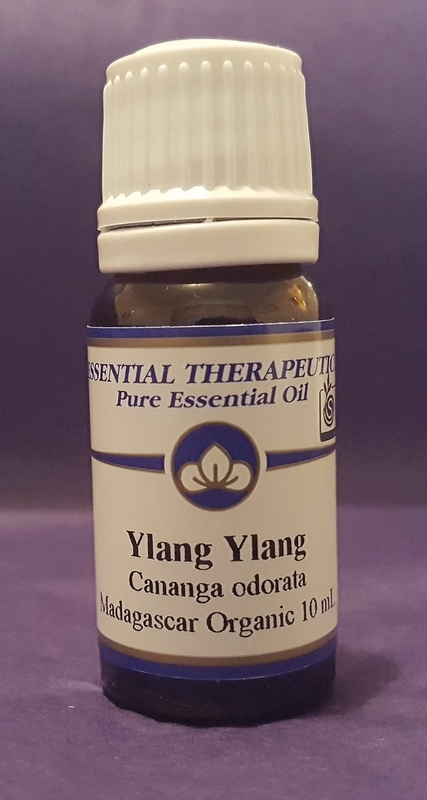 I've been passionate about aromatherapy since I was fifteen years old, after purchasing my first essential oil which was ylang ylang. 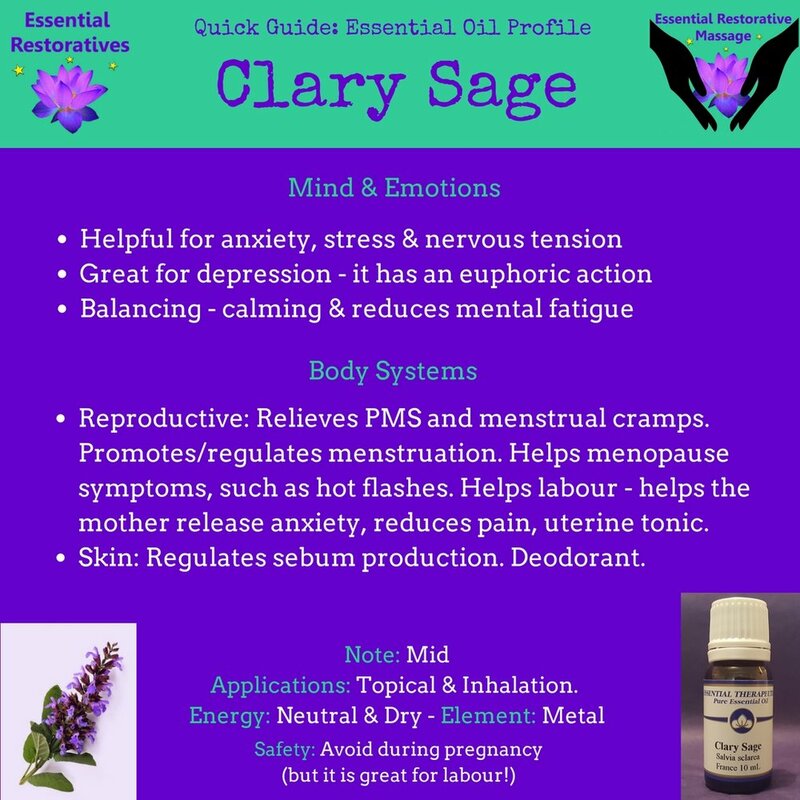 I was drawn to using essential oils and found them to be very good for my mind, emotions and for balancing my hormones and decided I wanted to introduce others to the benefits of essential oils. I've been formally studying and practising the art and science of aromatherapy for over ten years and I completed a Diploma of Aromatherapy. My knowledge has grown extensively, and yet I am always guided by my intuition first. When I give a massage I am fully present and mindful and I tailor the treatment to you as the individual you are. You can expect to feel truly relaxed and restored to a state of balance and wellbeing. The choice is always yours when you come and see me - you can come just for an aromatherapy massage, or you can come for a longer consult so that I can create a beautiful perfume just for you. I sell Essential Therapeutic essential oils and there's never any pressure to buy - I invite you to enquire if interested. I can make suggestions for particular essential oils based on what you are currently needing help with in your life. I provide plenty of resources for free so you can get started with using aromatherapy at home, such as my detailed blogs. The best place to get started with aromatherapy is to experience an aromatherapy consultation and massage. I had clients requesting bespoke perfumes because they were loving the massage oil blends, and this has now become a big part of my business - I create natural aromatherapy perfumes that are tailored for you as an individual. When creating a perfume especially for you I consider such things as what scents you enjoy, how you want to feel, the properties and benefits of the essential oils and what oils blend well together to create a perfume that has depth and smells beautiful. When I use my own perfumes people are always complimenting me. I so love to create these special blends. The best thing is - they are completely natural and beneficial. I use an organic jojoba base. They come in a 10ml cobalt blue glass roll-on bottle and are priced from $15 to $20. Traditional perfumes just aren't good for us - they contain many artificial chemicals that are absorbed into the skin - so why not switch to natural perfumes today? In addition to the Face oils available on my Etsy store, I also create bespoke natural face oils, tailoring them to my client's particular skin type if the two oils that I offer are unsuitable - for example, if you have extremely sensitive skin then I could create a very gentle nourishing face oil. The face oils I offer are usually suitable for sensitive skins but I understand that individuals can have allergies to certain ingredients which is why I offer this option. Face oils are really good for the skin and full of vitamins including naturally occurring vitamins E, A, B, D & K, omega essential fatty acids, and antioxidants. They are completely natural, made of many beneficial vegetable oils such as rose hip, evening primrose, almond, hemp seed, camellia, avocado oil and others. Many of these are also Australian Certified Organic vegetable oils - I source organic where I can. You may use a face oil instead of a moisturiser as they are deeply penetrative and nourishing, or you can use it over a water-based moisturiser if your skin is extremely dry. They really lock in moisture. Plus I use essential oils in them that are healing and regenerative for the skin, in the correct (therapeutic) and safe dosages. They will help to slow the signs of ageing, improve elasticity, deeply moisturise, create softer skin, speed healing, and treat skin issues (acne, eczema, dermatitis, etc). Benefits may also include a reduction in: fine lines and wrinkles, scars, inflammation, and acne/blemishes. The face oils come in a 30ml glass bottle with eye dropper - and the bespoke face oils are usually priced from $30 to $40, depending on the ingredients used - I do have some high potency special ingredients like pomegranate oil, sea buckthorn extract and tamanu oil. Face oils can actually reduce acne. Please discuss this with me if you are curious, I can offer you real honest advice - it's an inside job and an outside job. Never be fooled that's it's one or the other - good nutrition, stress reduction and natural skincare can really help. If you are interested in purchasing a bespoke face oil and live in Brisbane please contact me - I can create these any time and they are usually ready within a few days of your request and consultation. For information on the face oils available for purchase, please see the Products page. Which Essential Oil Brand should I buy? This is a common question I get. I trust a few brands and I do sell therapeutic/practitioner grade essential oils directly to my clients - the brand I use and sell is called Essential Therapeutics. For advice on which brands are good, always ask an Aromatherapist. I would recommend you avoid asking retailers (most don't really know) and note some MLM companies are downright dishonest and publish a lot of misinformation. They say whatever they want to sell the oils, including advocating for consuming them in water which should never been done because they are lipophilic meaning they dissolve in fat and not in water. Other common misinformation I've seen is a company claiming to have be the "best" - that's just a marketing ploy that is completely dishonest as the essential oils come from all over the world and one farm may supply more than one brand or there may be several farms in that area all with great quality plant material and processes. The most a company can claim is to be pure and first grade (as Essential Therapeutics are) but being the "best" is impossible to claim. Especially as climate and weather conditions change each year so product quality and supply will vary. I sell aromatherapy products and essential oils, and I provide honest advice. If you are interested in purchasing (you must live in Australia), please feel free to view the price list and contact me. In France some medical doctors treat infectious diseases by administering essential oils internally. Some French doctors also treat cancer with essential oils. The ancient Egyptians used aromatic plant infused oils as perfumes and in the embalming process for mummies. People in India and China also used aromatic plant oils thousands of years ago in different forms.